When choosing a pallet racking system, it’s important to invest in one that will be the most suitable for all your warehouse storage requirements. Ultimately, you need to ensure that it’s efficient and effective. However, selecting the right pallet racking system can be a multifaceted process. You need to prioritise where and how you will store your products, as choosing the wrong kind of storage system can inflict unnecessary costs on your business. Here are four things to consider when choosing a pallet racking system for your warehouse. Firstly, it’s important that your pallet racking system can hold enough weight. The weight that it will be able to hold largely depends on its overall configuration. There are particular pallet racking systems for different industries that allow for heavy, medium and light loads. You must also consider whether you’ll be using a single bay system or continuous runs, the length of each bay, and what will be placed on each level. All of these factors play an essential role in determining what the safe working load of each pallet racking system will be. If a system cannot safely take the weight, you’ll need to opt for a stronger option. When purchasing a pallet racking system, it’s important to consider the frequency of your stock turnaround. For example, businesses dealing with perishable goods need to have quick accessibility to their products. This is because products such as beverages, frozen foods and anything with an expiration date need to be put in first and taken out first to ensure their freshness. Pallet racking systems that are used for storing goods with high turnovers can experience a higher level of damage. A great way to maintain your pallet racking system is to use protection products such as additional column guards and durable end protectors. It’s essential to keep all existing limitations in mind when designing and installing your pallet racking system. This will make the installation process smoother, plus you’ll know additional costs won’t be necessary to make a pallet racking system work. For example, if your current hyster forklifts only rise to a height of 4 metres, you shouldn’t install a racking system to the height of 6 metres. It’s also important to remember that certain forklifts are best suited to specific types of pallet racking systems. 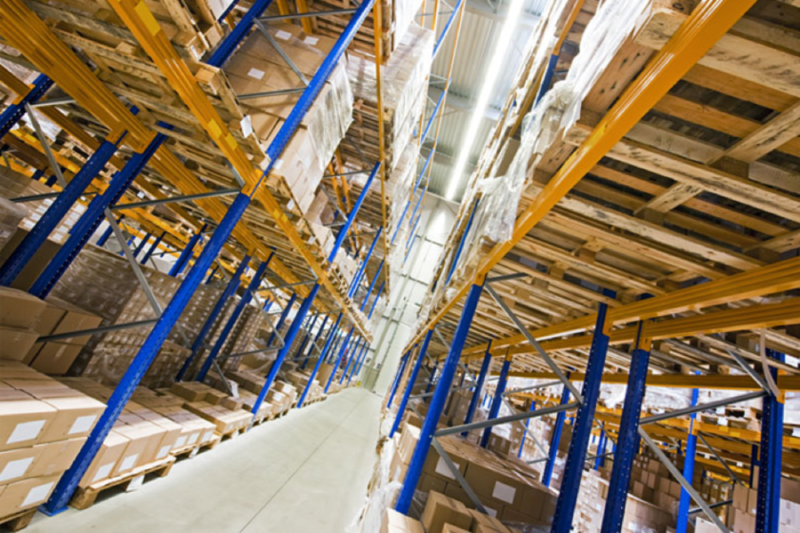 Before choosing a pallet racking system, you need to consider your floor plan. Think about the shape, height and size of your space as well as the positioning of your doors and windows. This will help determine the amount of pallets you’ll be able to store and how much floor space you have to do so. It’s also important to ensure that the system you choose will not only fit in the space that you’ve allocated for it, but that it will be safe and efficient as well. There must be enough space between the racking systems for a forklift to fit, as well as enough room for materials to be pulled from the shelves.